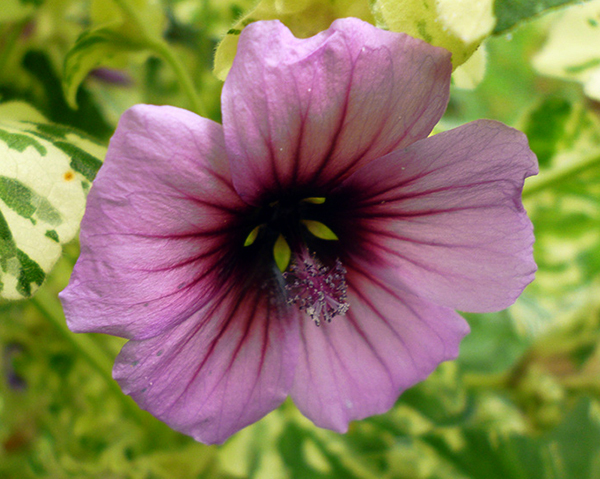 I grow variegated Mallows for their foliage as well as their small lilac flowers. I discovered Kings Seeds seed catalogue in 1998 and among my first order was a packet of these seeds. I instantly thought I'd like them, but I had no idea how well they would grow. And so I duly planted six out in the Wattle Woods garden and then forgot about them. 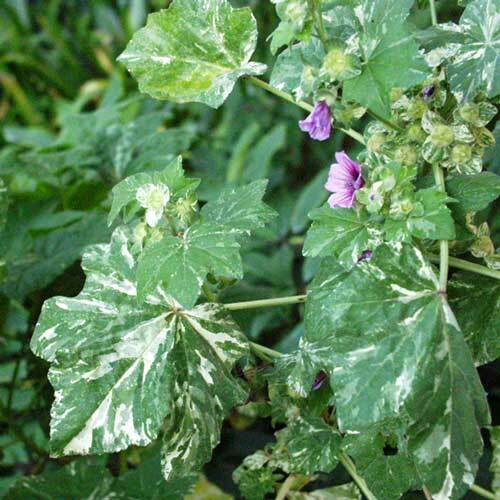 variegated mallow - weed or plant? Towards the end of that first summer I noticed that they were almost as tall as me, and my close planting had given them a hedge-like form. I built the little path to wind behind them, and congratulated myself on my unique if unusual good taste. Then I attempted to show off my variegated mallows to Stephen. He (a practical botanically minded man) was not impressed. They were weeds, he stated, and why on earth was I interested in cultivating them? 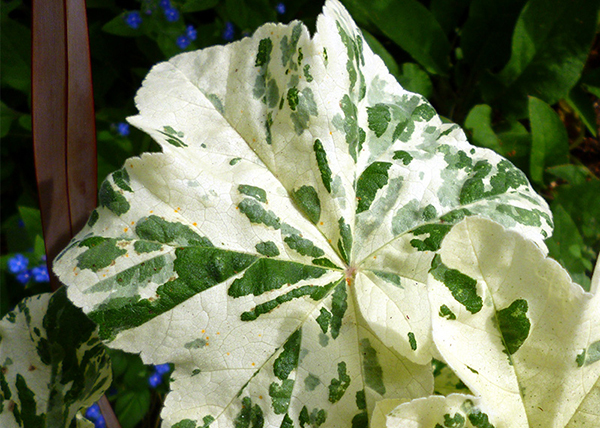 The variegations, rich cream with mid-green, did not impress him either - "scruffy leaves" he said dismissively. 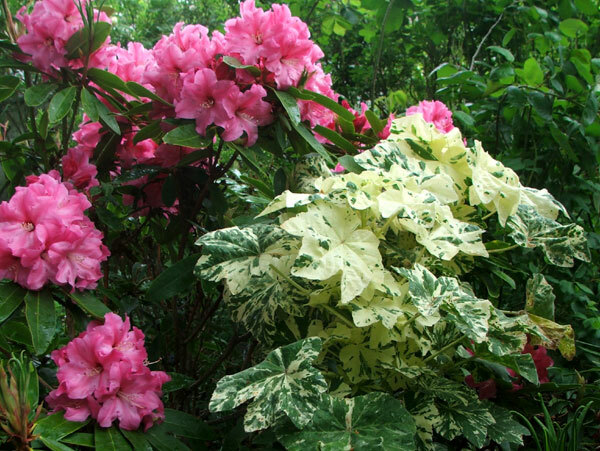 It's now the summer of 2009 and my variegated mallows have become quite a feature in the Wattle Woods, the site of those initial plantings all those years ago. Enough self-sown seedlings always appear for the following year's stock. And they do all this in reasonably poor, dry soil. Yippee!